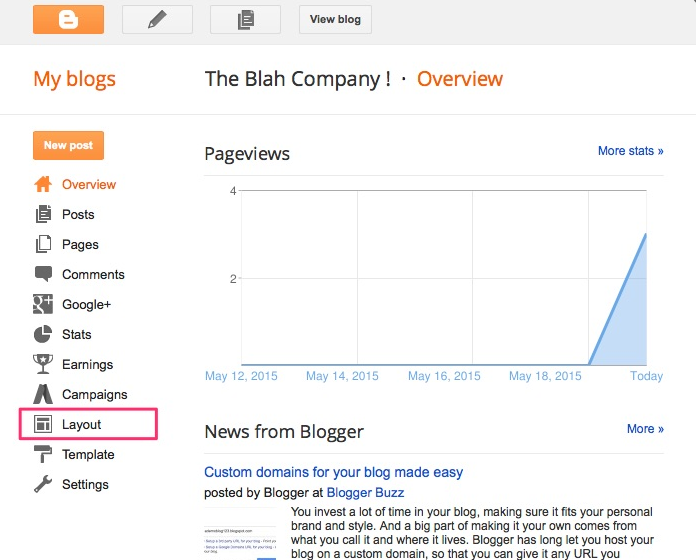 Blogger is a free publishing platform where you can share text, photos and videos. 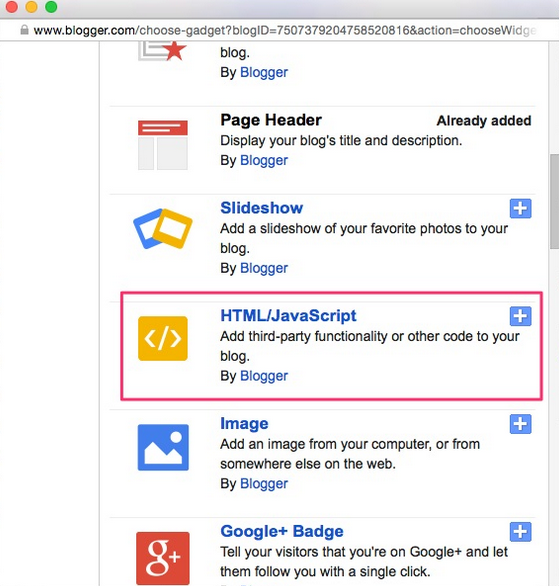 You can now add Happyfox Chat as a widget to your blogger profile. 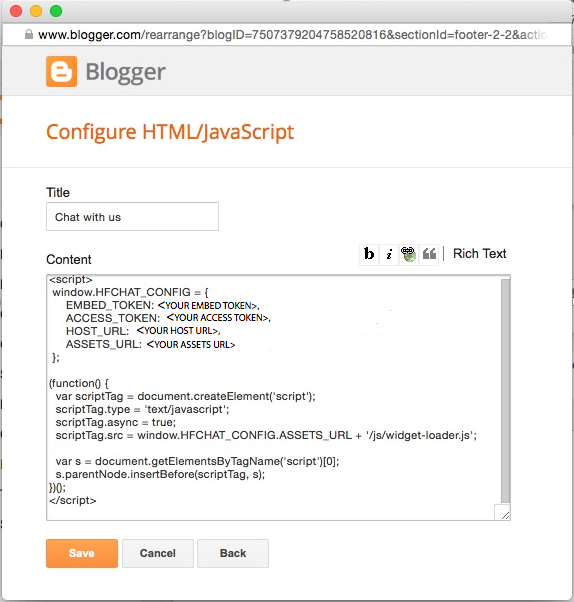 To add HappyFox Chat widget to Blogger, follow the instructions given below. 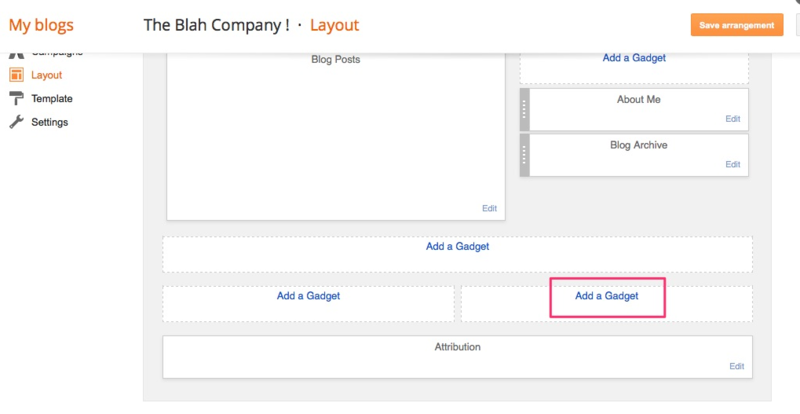 Step 1: Login to your ‘Blogger’ profile, and click on “Layout”. Step 2: Now, click on the “Add A Gadget” link, from the layout.